Atlanta, GA (Restaurant News Release) Schlotzsky’s Austin Eatery®, the Austin-born fast-casual restaurant, home to The Original® oven-baked sandwich and famous Fresh-from-Scratch® buns, announced today the signing of a 10-unit franchise development agreement that will expand its footprint in key target markets. The signed deal marks the brand’s single largest agreement since evolving to the Austin Eatery concept in late 2016. Driving Schlotzsky’s expansion are seasoned multi-unit franchisees Jordan and Terry Giles and Scott Lay of LG2 Restaurant Group. The Giles’ have been with Dairy Queen for more than 20 years, operating 15 locations in and around Tyler, Texas. Their partner Scott Lay has more than 20 years of experience in the commercial real estate industry with a concentration on design and construction for quick-service restaurants. Lay has been a Dairy Queen franchisee for the past four years. 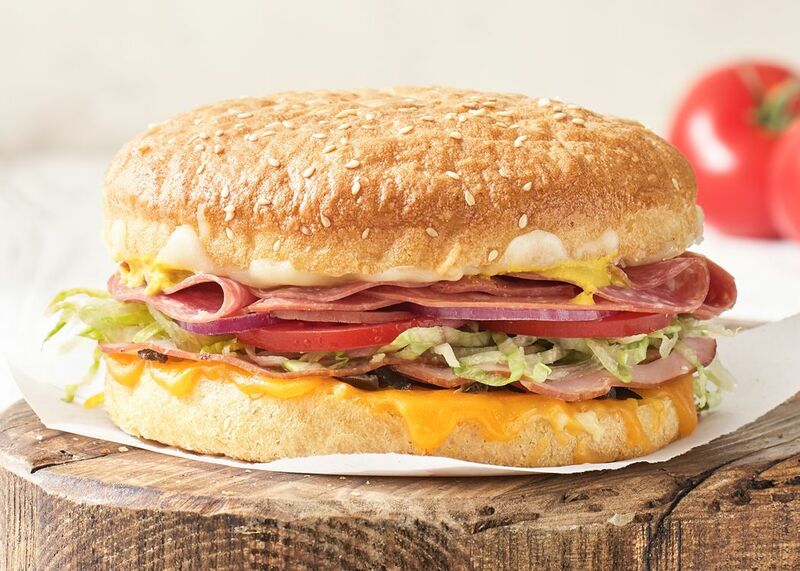 Founded in 1971, as a small restaurant in Austin, Texas, serving only one sandwich, Schlotzsky’s now spans across 35 states with more than 370 restaurants serving up toasted sandwiches, artisan flatbreads, specialty pizzas, freshly tossed salads, gourmet soups and more. Under the FOCUS Brands Inc. umbrella, the company is actively evolving all deli locations to the Austin Eatery concept with plans to convert the entire system mid-year. The newest rendition embraces the brand’s origins with new menu items that are inspired by Austin’s food truck culture, as well as craft beers and wine, providing an environment for casual dining and socializing. The design of the restaurant has also been updated, incorporating elements of recycled wood and corrugated metal. These changes have boosted the brand into the fast casual or “fast-fine” category. Schlotzsky’s currently has franchise opportunities available throughout several key markets, such as Arizona, Missouri, Indiana, North Carolina, Georgia and Colorado, among others. The fast-fine concept is actively seeking individuals with an entrepreneurial spirit who posses enthusiasm about the brand, marketing skills and the ability to manage a strong team. Restaurant experience is preferred. Interested candidates should visit https://schlotzskysfranchising.com or call 1-866-964-9784 for qualifications. Atlanta-based Focus Brands Inc. is a leading developer of global multi-channel foodservice brands. FBI, through its affiliate brands, is the franchisor and operator of more than 5,000 restaurants, cafes, ice cream shops and bakeries in the United States, the District of Columbia, Puerto Rico and over 50 foreign countries under the brand names Carvel®, Cinnabon®, Schlotzsky’s®, Moe’s Southwest Grill®, Auntie Anne’s® McAlister’s Deli® and Jamba Juice®, as well as Seattle’s Best Coffee® on certain military bases and in certain international markets. Please visit www.focusbrands.com to learn more.